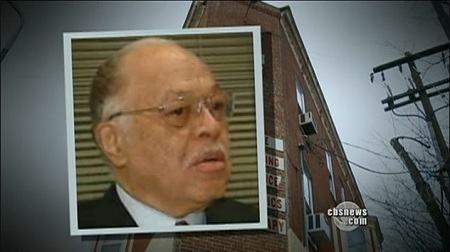 Who is Kermitt Gosnell? He is, for the lack of a better term, he is the most ‘successful’ serial killer in the history of the world. UPDATE – Reports are popping up all over the net that Obama’s Attorney General Eric Holder and his wife are at least part owners of this mill. Aside from Marc Lamont Hill (in the video at the link below) at the Huffington Post, Kirsten Powers has been the only liberal television pundit I am aware of who has had the courage to speak out about it, and of course both worked for Fox News. This story demonstrates that MSM is not providing the country with factual stories and information, but instead only stories which promote their liberal agendas or are of no importance. We are being lied to by omission. How many 1,000’s of pieces of information have they not shared, stories not aired… and we are a free country (insert sarcasm). I guess they found it too difficult to spin! The video from the Huffington Post can be seen HERE. This entry was posted in Civility, Communications Theory, Culture War, Elite Media, Lies, True Talking Points and tagged abortion murder, current-events, entertainment, mainstream media outlets, media, politics. Bookmark the permalink.